According to McDonald, the score attack mode was meant to be something that the player could do while waiting for the game to finish downloading while playing a digital copy of the game for PS4, and it was not included in the game for...some reason. I wouldn’t say that the mode is all that interesting by itself, but this is something that a developer spent time on and which is apparently complete that just did not make it into the game. 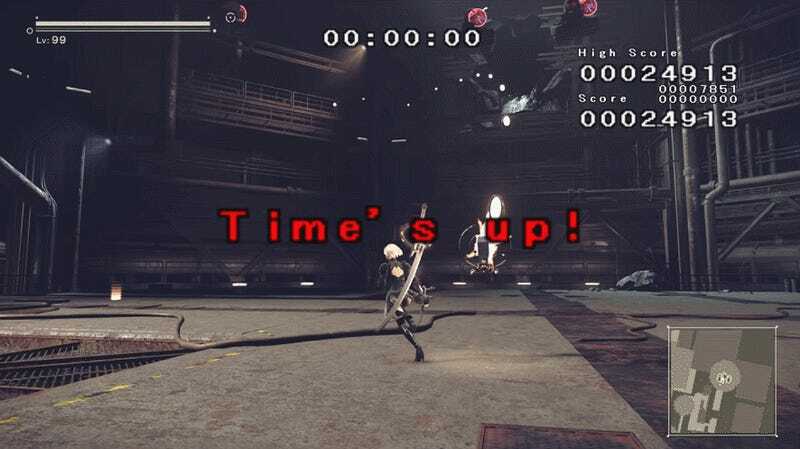 While I don’t know if I’m hankering for more of Automata’s combat, a score attack mode would be a fine addition for people who want to sink more hours into the game. Sadly, as McDonald notes, there is currently no way to access the mode in the game without doing a bit of hacking, and the PlayGo novel that provides the entry to the mode is difficult (or maybe impossible) to access on disc and Steam copies of the game. A sliver of a sliver of people could access this in a world where it was fully implemented, so maybe it is appropriate that it was cut from the final game.